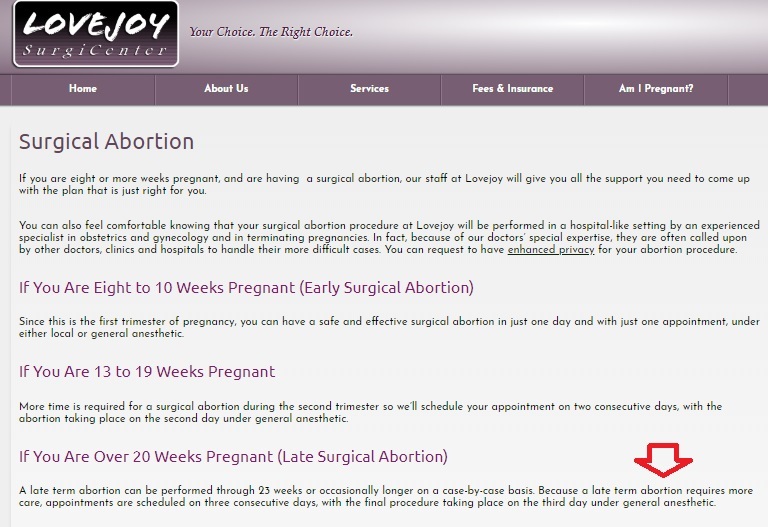 The term “late-term abortion” has received a lot of attention lately from abortion supporters who, in their all-too-obvious effort to avoid discussion of what an abortion late in pregnancy actually entails, feel the need to claim that pro-lifers have invented the supposedly ‘medically inaccurate’ term in order to “distort the truth.” But is any of this true, or is this just much ado about nothing? Let’s take a look. 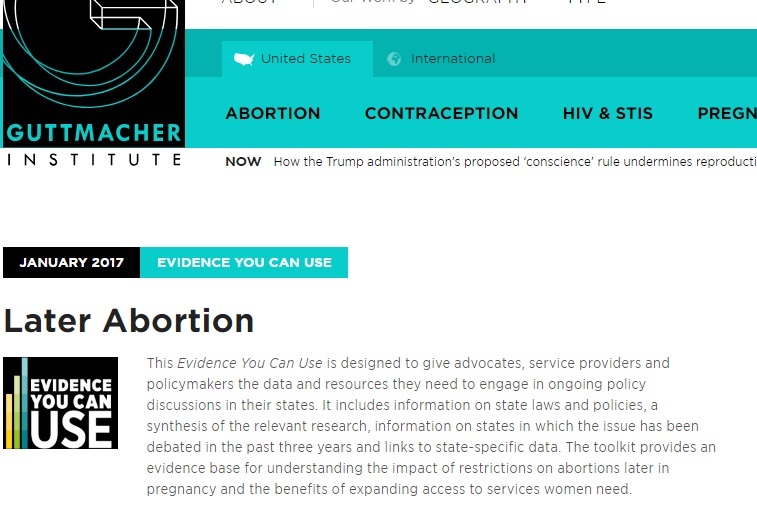 American College of Obstetricians and Gynecologists health policy VP Dr. Barbara Levy and Physicians for Reproductive Health fellow Dr. Jennifer Conti told CNN that late-term abortion is “medically inaccurate and has no clinical meaning” and an “invention of anti-abortion extremists to confuse, mislead and increase stigma,” respectively. 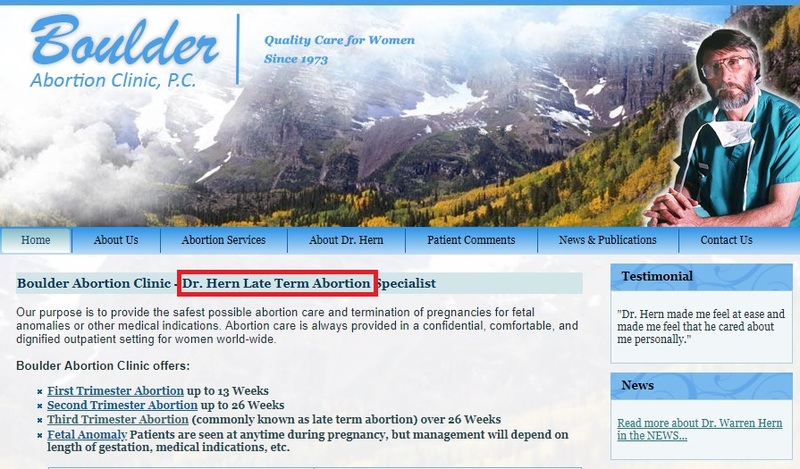 Dr. Jennifer Gunter, an abortionist and pro-abortion writer who bills herself as “the Internet’s OB/GYN,” claims anyone who uses “late-term abortion” is either illiterate or a liar. Oh, really? Well, perhaps the ACOG isn’t using that term, but abortionists — you know, the people who do abortions for a living and practically nothing else? — use that term, and they use it often. 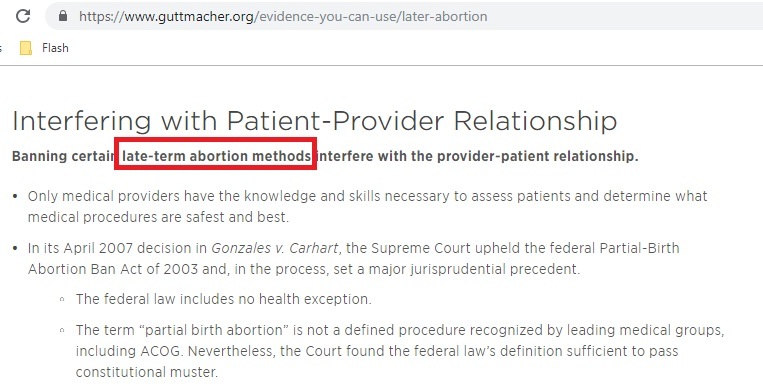 And only weeks ago, Planned Parenthood’s Director of Political Communications, Erica Sackin, used “late-term” to refer to abortion in a FOX interview (see 2:14). I guess that must mean Sackin is an “illiterate, lying, anti-abortion extremist.” Right, CNN abortion “experts”? 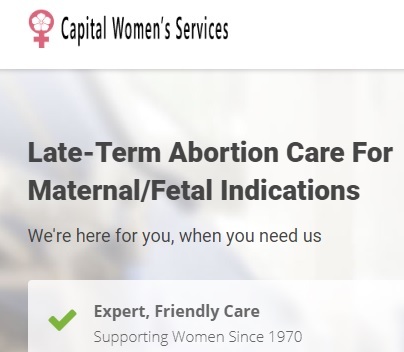 Provide Access, which trains health workers to push women toward abortion, uses “late-term” in its Q+A document. 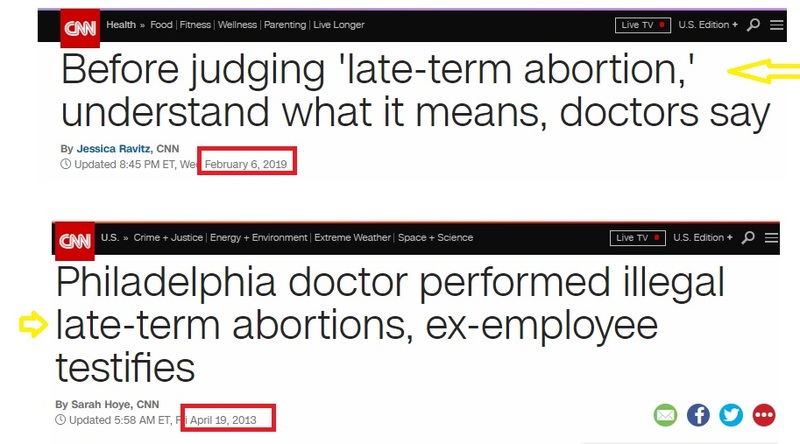 CNN has apparently received marching orders from the abortion lobby to now put quotes around “late-term abortion” – which they did in a recent headline, shown below. However, in a previous January 2019 article referencing New York’s abortion law, and in 2013, when publishing a story about abortionist Kermit Gosnell, CNN saw no need to put quotes around the term. 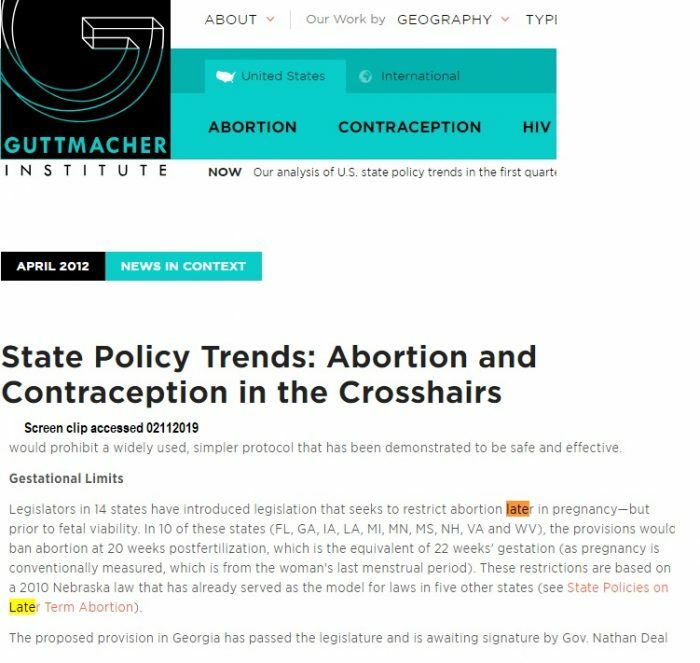 The pro-abortion leaning Huffington Post is also now placing quotes around the term — as evidenced by an article from February 2019. 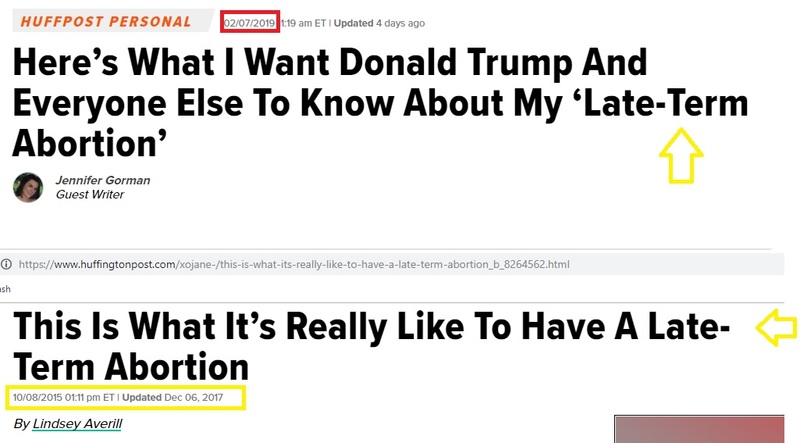 However, HuffPo saw no need to do so in 2015 when a separate article which referenced late-term abortion was published and then updated in 2017. 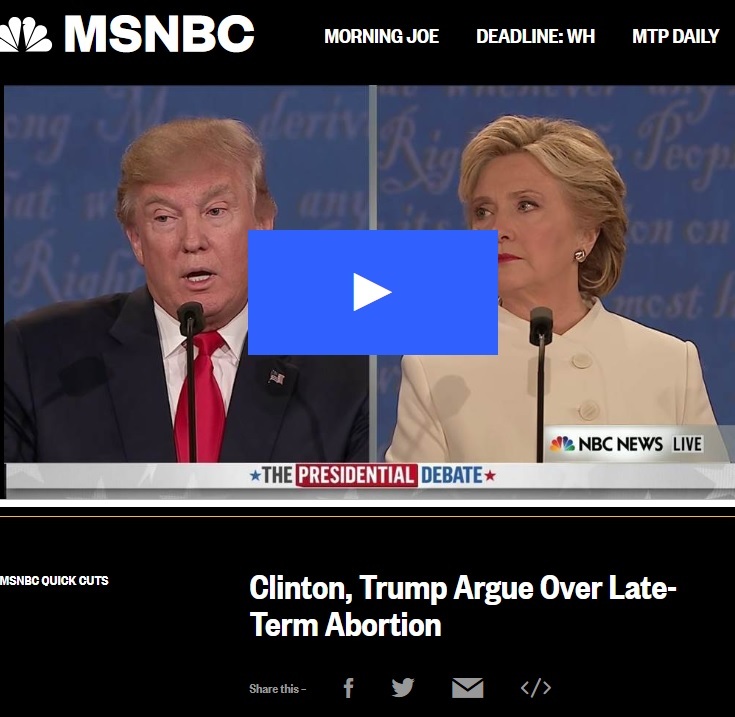 In 2016, MSNBC, not known for being pro-life, used the so-called inaccurate “late-term abortion” phrase with no quotation marks. Kermit Gosnell Avoids Death Row, Agrees to Life in Prison: Gosnell was accused of performing late-term abortions on four babies who were born alive, but were then allegedly killed by Gosnell…. Body Parts on Shelves at Gruesome Abortion Mill: Prosecutors described the clinic as a “house of horrors” where Gosnell kept baby body parts on the shelves, allowed a 15-year-old student to perform intravenous anesthesia on patients and had his licensed cosmetologist wife do late-term abortions…Women came from across the city, state and mid-Atlantic region for the illegal late-term abortions, authorities said…. 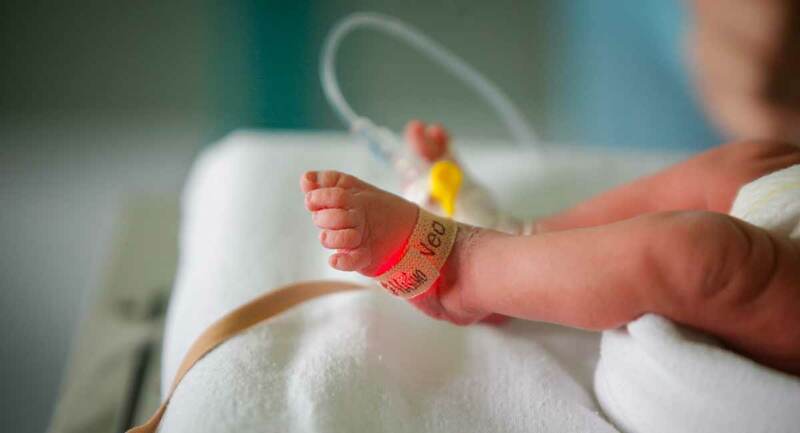 Late-term abortion doctors fill in for Tiller: Curtis Boyd, an Albuquerque doctor, recently announced on his website that, in response to Tiller’s death, he had begun performing third-trimester abortions. Boyd, 72, also announced that he had hired two California physicians, Susan Robinson and Shelley Sella, who used to work with Tiller on a rotating basis. 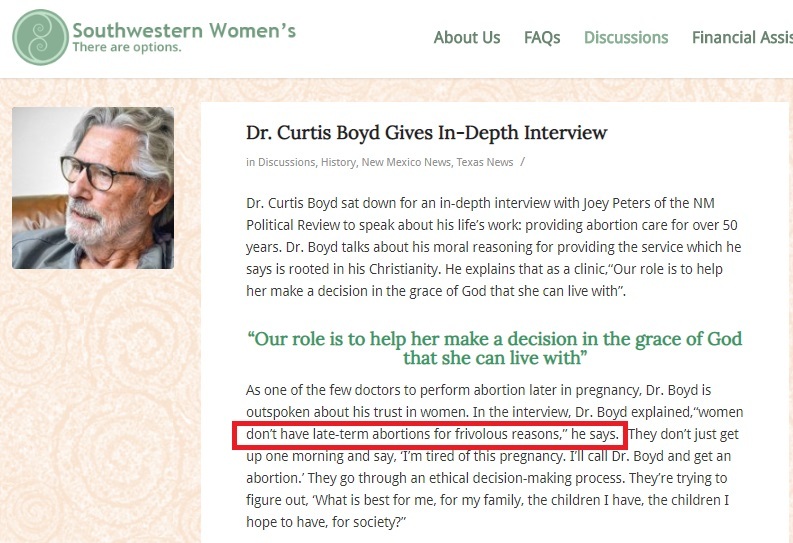 After Tiller’s death, N.M. doctor offers late-term abortions: Curtis Boyd, an Albuquerque doctor, recently announced on his Web site that… he has begun performing third-trimester abortions…. Jurors Acquit Kansas Doctor in a Late-Term Abortion Case: Kansas law permits late-term abortions when two independent doctors agree that the pregnant woman would be irreparably harmed by giving birth. Late-term, or later abortion — no matter how you say it — is a horrific, gruesome act that kills roughly 12,000 preborn children every year. The abortion industry is in crisis mode, and would rather confuse the public by focusing on the phrase rather than on the act itself, which is overwhelmingly opposed by the American public.